Absence Oil Control Primer is a unique formula which takes advantage of hydrated silica to absorb excess oil without changing the moisture of your skin. Absence Oil Control Primer is weightless and transparent. It also soothes and reduces redness while helping to balance pH. Absence Oil Control Primer has Hydrated Silica which holds 7 times its molecular weight in moisture and absorbs excess oil. 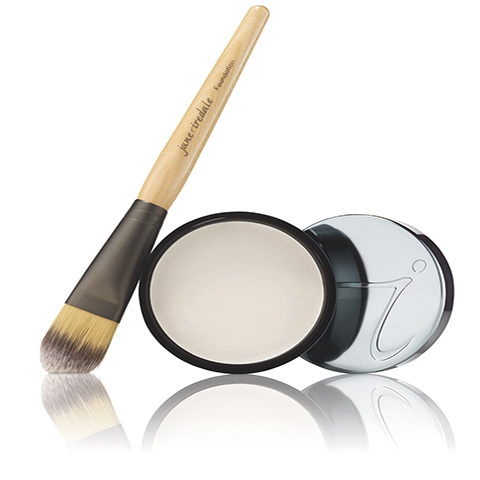 A cream to powder primer that reduces shine and controls oil secretion without drying the skin. Helps to minimize the appearance of pores and fine lines. Works as a great base for any mineral makeup foundation—liquid or powder. Keeps colour true by providing a barrier between the skin and makeup. The interaction between oil and makeup is one of the main causes of colour change. 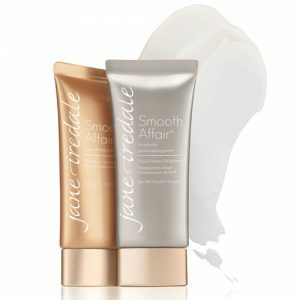 For clients with a dryer complexion, check out Smooth Affair Facial Primer & Brightener. Applied best with the jane iredale Foundation Brush. Hydrated silica helps to absorbs excess oil. Kelp extract helps to balance sebum production. Green tea leaf extract in Absence Oil Control Primer helps to calm and soothe, protect, and provide bacterial protection.